Ensuring the good functionality of electrical distribution infrastructure in the industry is one of the top priorities if you want your business to keep running without breakdowns. Problems are usually discovered too late resulting in operational losses and expensive urgent maintenance that exposes your employees to critical risks. Now, there is a way to avoid all these setbacks; embracing new technologies and going beyond reactive maintenance. Digital Transformation is in the core of most of the business: adapt or perish. Thanks to the Industrial Internet of Things (IIOT), we have new condition-based monitoring services that are continuously sending data to a Service Bureau where a group of experts analyses asset health to anticipate downtime and manage possible risk. Therefore, we go from the reactive maintenance to preventive and now, even predictive maintenance. The set up for both systems follows the same simple road: connect, collect, analyse and take action. Electrical equipment failures cost millions in damage and lost business every year. The good news is, that more than two-thirds of electrical system failures can be prevented by scheduling a good maintenance programme. According to a study published by the insurance company Hartford Steam Boiler, the failure rate of electrical equipment is three times higher for components that are not part of a scheduled preventive maintenance programme as compared with those that are. The goal is to ensure employees protection and secure operational excellence. Imagine that we can predict when an incident could happen in the future even before there are any visible indications of a problem… No need to imagine, this is already happening. Predictive services for electrical distribution infrastructure is a reality thanks to artificial intelligence and advanced analytics that identifies potential threats. How? A group of highly qualified experts and engineers from a Service Bureau use Machine Learning technology to monitor your asset health and provide early alarming for future failures and also create personalised reports for your specific equipment. It allows companies to achieve financial efficiency by having better control of the energy, performance and operation budget. What IIOT is achieving is remarkable. Now, what would you feel about preventing breakdowns happening when a critical incident is detected? Preventive services allow you to monitor your electrical distribution assets and get real-time data, to your mobile or fixed device. This enables you to schedule your equipment maintenance based on the regular analytical reports created automatically to minimise breakdowns and prevent unplanned behaviour. How can you get all these inputs? That’s simple, just connect your critical asset to the Cloud to start continuous monitoring and access live data about your equipment performance on your smartphone. You can get notifications with smart alarming in case of emergency to increase safety operational continuity and, with all that information, you can leverage and act. 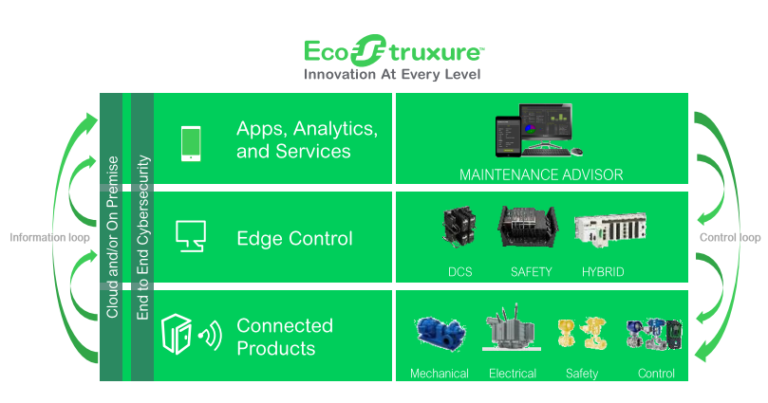 Schneider Electric has all of this functionality in one offer: EcoStruxure Asset Advisor. We combine the best technological platform with our expertise in all field services areas. Our engineers are working from Service Bureaus applying their knowledge to see the maintenance that best suits your installations, helping you protect not only your assets, but also your employees. If you are interested in learning the basic electrical distribution maintenance concepts, read this paper and discover its fundamentals. By Roger Casellas is the Global Field Services VP for Europe & France, Schneider Electric.